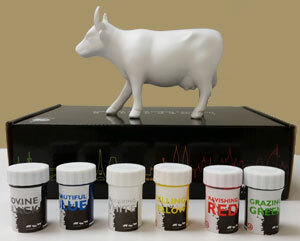 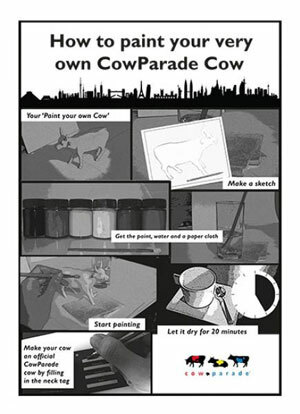 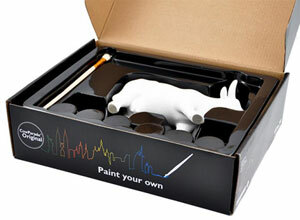 The Paint Your Own Cow Kit has everything you need to create your own cow masterpiece. 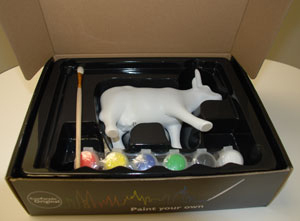 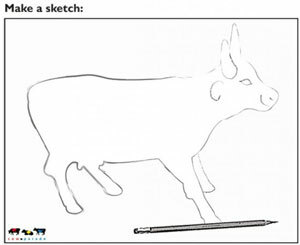 The kit comes with a blank cow ready for paint, six paint colors (black, white, red, yellow, green and blue) and a paint brush. 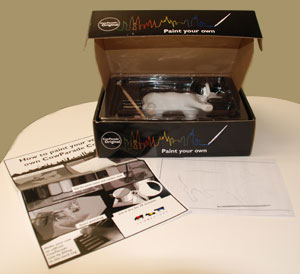 A set of instructions and 2D cow template are included, along with a hang tag so you can name your cow. 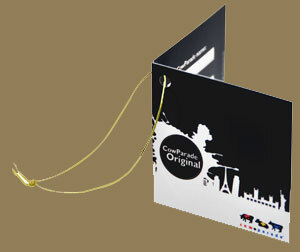 The kit comes in our bold new packaging.